She’s a geek, too – she loved it…. 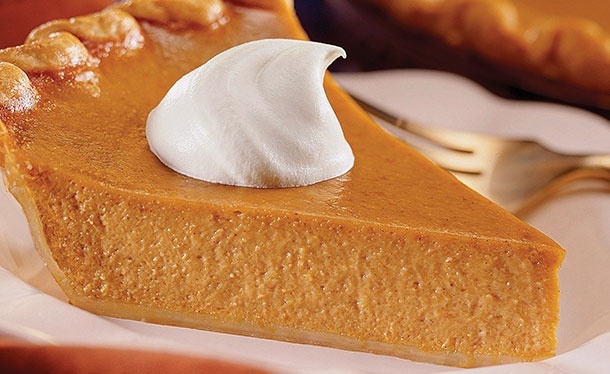 I’m including Rachel’s Pumpkin Pie recipe here as well – it’s actually the recipe that you’ll find on the back of every can of Libby’s Pure Pumpkin; she makes it every year for Thanksgiving, and there’s never any left…. Mix sugar, cinnamon, salt, ginger and cloves in small bowl. Stir in pumpkin and sugar-spice mixture. Bake in preheated 425° F oven for 15 minutes. Reduce temperature to 350° F; bake for 40 to 50 minutes or until knife inserted near center comes out clean. Top with whipped cream before serving. 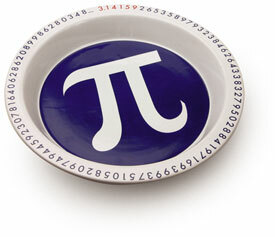 This entry was posted in Annual Posts, Family, Foodie Friday, Holidays, Humor, Just Because, Messin' with my kids, The Geeks Shall Inherit the Earth and tagged I am a Geek, Pi Day, Pi Plate. Bookmark the permalink. I want that plate LIKE BURNING!!!! Can’t find one (that looks exactly like that one, anyway) anywhere – sorry!